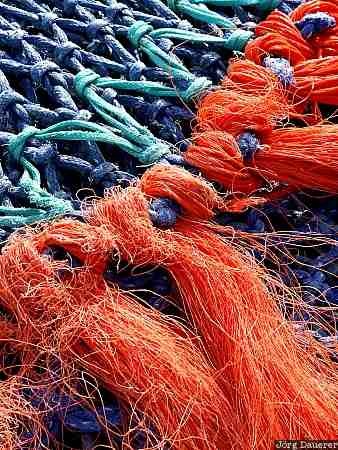 The pattern of a colorful fishing net in the harbor of Weymouth. Weymouth is in Dorset at the southern coast of England, United Kingdom. This photo was taken in the evening of a sunny day in August of 2002. This photo was taken with a digital camera.